GoDaddy is one of the most popular webhosting companies in the world . 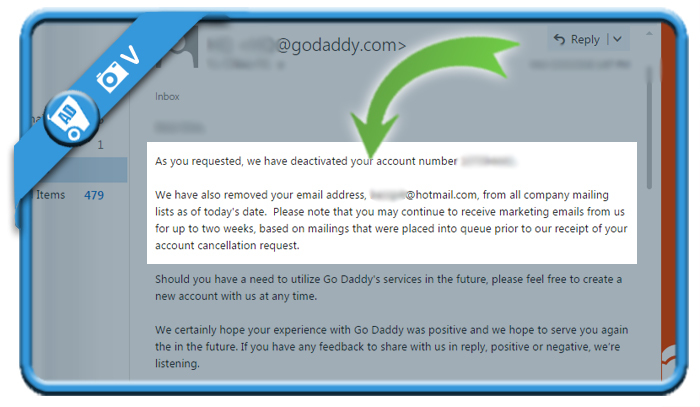 But if you’re not using your website or domain anymore, you might be considering to remove your account. In that case: I can tell you that all it takes, is 1 email to their privacy team. I accidentally created a GoDaddy account and want to close it. In my case, I received an answer from a very kind employee of the CEO team 4 hours later, confirming me that my account number and email address have been removed from their database. Thanks GoDaddy! Please note [email protected] does not provide general customer support. Our friendly and knowledgeable customer care team is standing by to help you and can be reached at 480-505-8877 or you can visit https://support.godaddy.com for help articles and more. 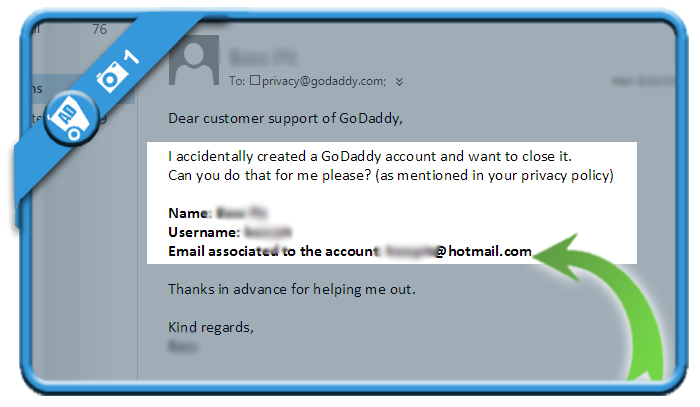 Thank you for your understanding and as always, thank you for being a GoDaddy customer. *For phishing related complaints, please send your inquiry instead to [email protected]. I got the same email but a couple of minutes later I got the response I wanted saying they have deleted my account.